While every day I keep a huge eye on WordPress themes – old and/or new – but there is something which makes me stick to it for not just a minute but for my entire Sunday (yes a day in weekend; December 01, 2013). Interestingly, I am also sure you do heard of the themes from the club, named FameThemes but thanks to the hard word its team did made me feel that much fascinate on writing (actually reviewing) about it, so here I am. With an appropriate awesomeness in designs, the “lovable” fonts and over the top, the required loading rate makes one think of choosing FameThemes as their PERFECT choice. The club which is known earlier as WPShift and then later renamed as FameThemes, have six great themes on offer. Not only this, but each of its theme brings fully responsiveness, clean and elegant design, huge functionality and utilities, an awesome support and non-expensive pricing. The theme club offers three purchasing options – Premium, Fame Club and Lifetime. The Premium Club option cost $49 in which one can get download single theme, premium theme support, regular theme update, usage on multiple domains and onetime payment fee. 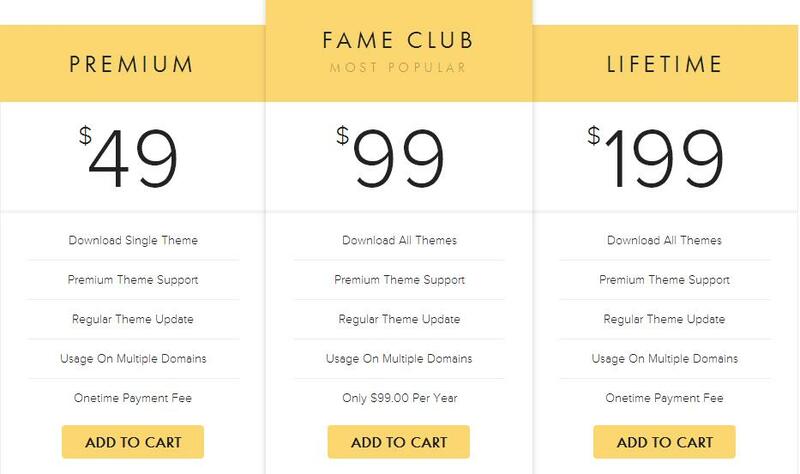 The Fame Club option cost $99 in which one can get download all themes, premium theme support, regular theme update, usage on multiple domains and only $99 per year. The Lifetime Club option cost $199 in which one gets download all themes, premium theme support, regular theme update, usage on multiple domains and onetime payment fee. The first word on analyzing all the themes comes from my mouth is WOW!!! Really, the club offers beautiful themes to choose from. Not only beauty but the way, the themes expresses themselves make an amazingly awesome option one can have it for their website. 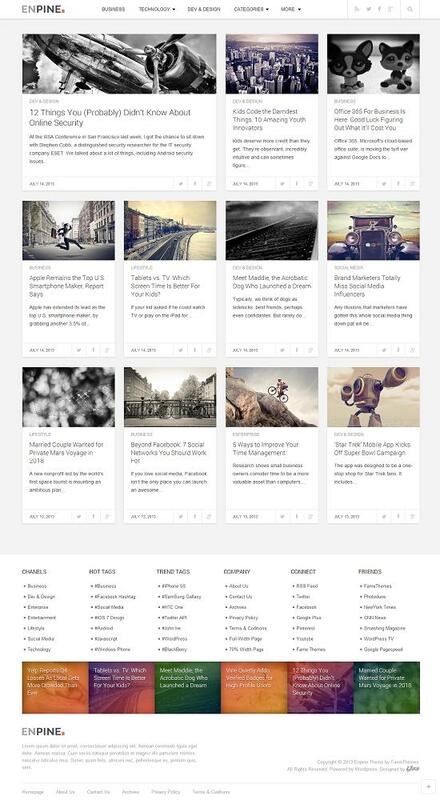 I say, go for FameThemes – they are not just good but are more than that.